For almost a decade they’ve torn up the internet with their edgy, inappropriate and politically incorrect humor. 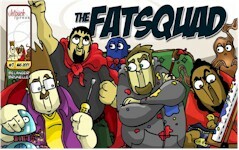 Now the Fatsquad antics are in print! This long awaited first volume collects over 120 strips, taking the Fatsquad on new adventures of hilarity. It’s a cast of over-weight roommates, a living pillow, and a cloud of farts. Like their real life counterparts, they constantly fight, and make fun of each other, challenge each other to eating contests, and argue the finer merits of Comics, Gaming, and Movies. Believe it or not, the basis for them is real! by Jennifer Omand - Squarecat is back! In this new volume of daily diary comic strips, Jennifer Omand continues to chronicle her life using geometric animals as stand-ins for their real life counterparts. With expressive line work and a wry sense of humor, Squarecat Comics finds details in each day that are worth preserving. From a day at the beach to a day at the office, Jennifer captures moments that are sometimes funny, sometimes tender, sometimes sad - but always uniquely Squarecat! Since 2003 Jennifer Omand has kept a daily journal of her life using unique geometric animals to represent her friends and herself. 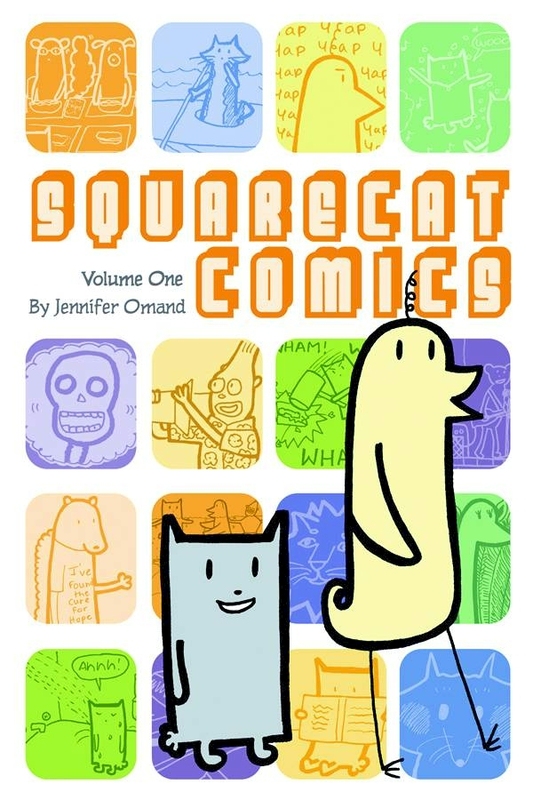 Best known for her work in the 2004 24 hour Comic Day highlites book, Jetpack Press is proud to present The Squarecat Comics year one collection. 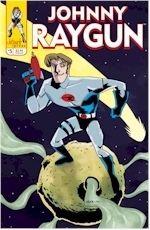 The first Jetpack trade is 128 B/W pages of everyday life fun for only $9.95 plus shipping. 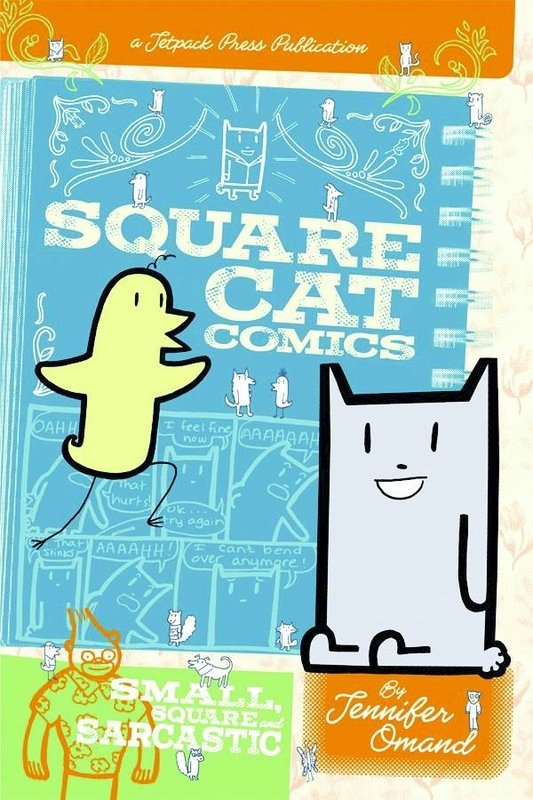 Get both volumes of Squarecat for 1 low price. Now you can get up to date on everything Squarecat. Those with VISA or Mastercard can use the checkout button! Those with out must hand write their order, get a stamp, payment and then go mail it. This is also the place to get all your super-cool Johnny Raygun comics and swag. Want to order the WHOLE Raylot? Then you need to head right over >> here so you can order the whole story arc plus! Using a Visa or Mastercard? Just click on the "ADD TO CART" Buttons and check out via "VIEW CART". Money Order, Check or Cash are all fine. Don't forget the shipping and handling!